The tattoo is popular among teens, but getting a tattoo is not an easy task. First, you will have to search for what tattoo you can try. There are so many different designs to choose from. When you have decided the design, you will have to make sure if the design will look good on your body. To make your work easy, there are several tattoo design apps. These tattoo design apps help you in finding a tattoo design. 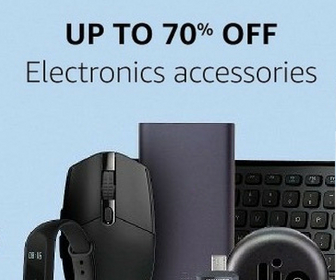 Few of these apps also let you see how it will look on your body. In this article, I am listing best tattoo design apps for both Android and iOS platforms. 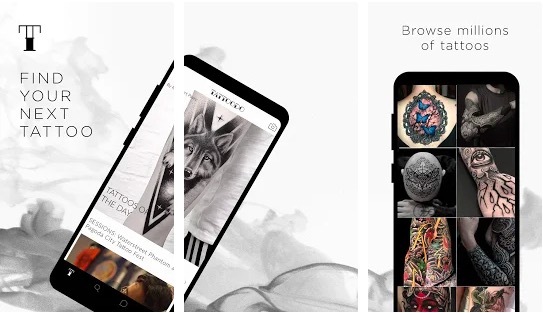 Here are the best tattoo apps that you can use to search tattoo designs, tattoo artists and see if a tattoo will look good on your body part. Have a look at these tattoo design apps. 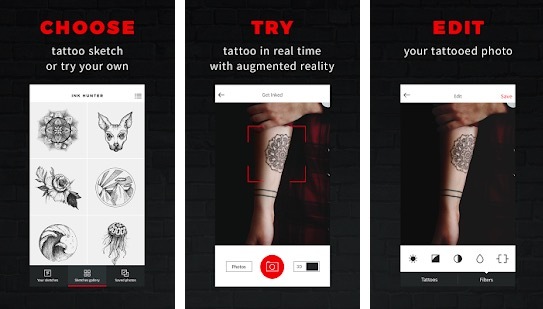 InkHunter is really an excellent tattoo design app that allows you to see a tattoo on any part of your body in real-time by using augmented reality. You can either choose a design from the app gallery or upload your own design. The only issue with the app is that it shows ads to unlock new tattoo designs. Tattoo editor also has some limitations. But the ability to check a tattoo on your body in real time makes it worth to try. Tattoodo is for finding a tattoo design. The app has so many categories of tattoo designs and millions of tattoo ideas. You can search by tattoo styles, motifs and more. You can also use the app to connect with the world’s most talented artists. The lets you create your own collection of tattoos. If you are a tattoo artist, You can also upload and share your own tattoos. In this way, you can use the app to get more clients. 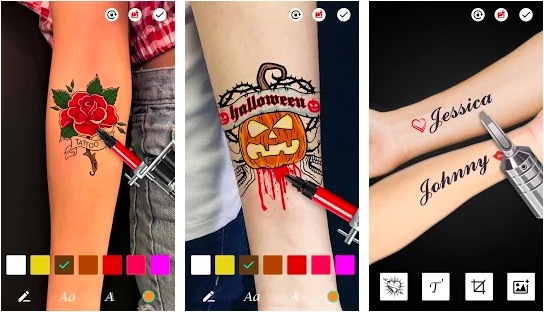 Basically, the app is similar to Instagram for sharing and searching tattoo designs and connecting with artists. 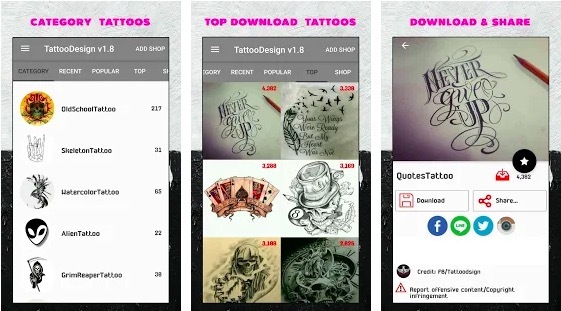 Inksquad is also a community-based app for both artists and tattoo lovers. 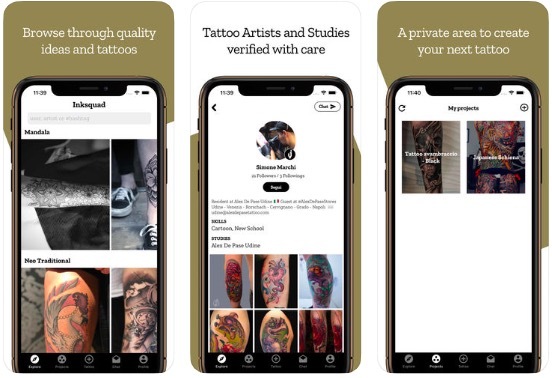 You can use the app to connect artists directly who can help you in designing your tattoo. You can also book an appointment for getting the tattoo inked. 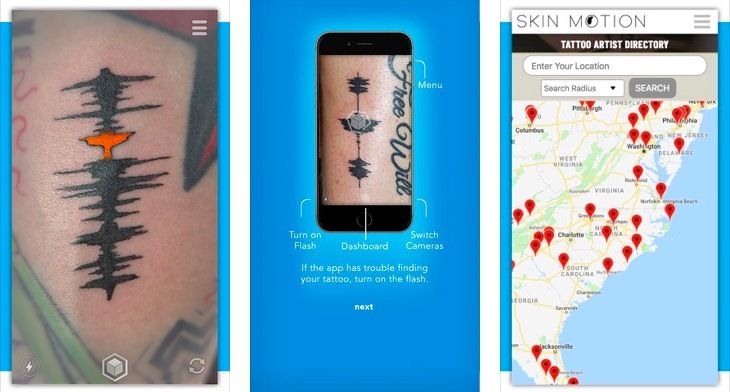 The app offers a search to find new tattoo designs. You can also search for artists. The app is only available for iOS and there is no info if they are planning for Android app. Tattoo Designs is another good tattoo app for those who are looking for new tattoo ideas. The app lets you choose tattoo designs from different Category tabs. The app also gets regular updates with new Tattoo designs. You can see the latest tattoos in the recent tab. It also shows trending tattoos. If you are a tattoo artist. You can use this app to find new tattoo ideas for your clients. Tattoo Maker is another good tattoo design app that lets you browse tattoos and virtually analyze how a tattoo will look on your body. The app includes different styles of tattoos including Love, Dragon, Fantasy, Butterfly, Animals, Skulls, Wing and more. You can either a photo of your body part and then upload it on the app to check a design there. If you are thinking to get a word or phrase tattoo on your body, this app is for you. 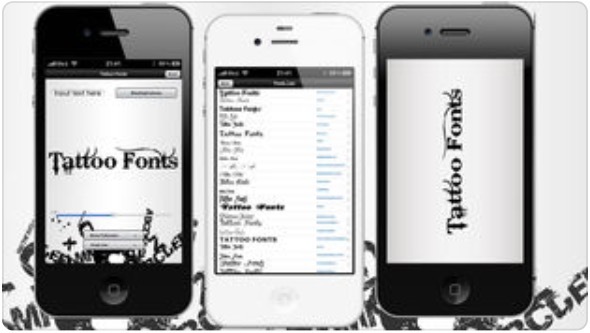 Tattoo Fonts is a good app that offers different kinds of font styles for tattoos. It has 125 high-quality fonts and offers the ability to check how a text will look in your selected font. Skin Motion is a unique tattoo design app that lets you convert any sound clip into a soundwave tattoo. You can take any sound clip up to 30 seconds long and turn it into a soundwave tattoo. The app lets you customize the shape, color and design elements of the tattoo. You can also access the location-based directory of artists who are trained to put s Skin Motion tattoos. These were the best tattoo design apps for Android and iOS. You can use any of these tattoo apps to find new tattoo ideas and contact tattoo artists. I have considered several things before making the list of best tattoo apps. I hope you find this list useful. If you dow any other similar tattoo app that can be a part of this tattoo design apps list, let us know using the comments section below.